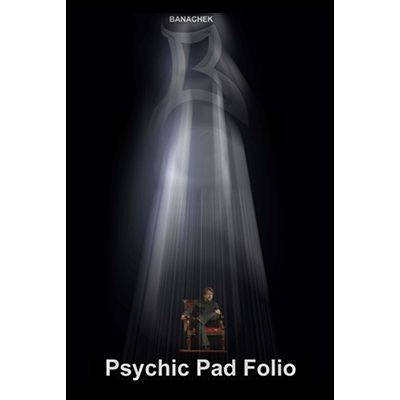 Today, when you order "Psychic Pad Folio by Banachek", you'll instantly be emailed a Penguin Magic gift certificate. You can spend it on anything you like at Penguin, just like cash. Just complete your order as normal, and within seconds you'll get an email with your gift certificate. Well lets just say there is a reason he has no performance video of the trick and just random quotes as the advertisement (anyone who has been into magic for more than 2 months will be able to detect whats going on.) I had an audience member guess the method exactly after a show once. The dvd is kinda sloppy and not well made. It didn't even work on my dvd player I had to watch it on my computer. This pad is WAY overpriced, you would be able to do the same thing with a note pad from wal-mart once you know the secret. I'm a Banachek fan just as much as the next guy but this is mostly way overpriced and the secret will disappoint you. I was hoping for some cool gimmick like Psypher or something...not the case. The pad itself is sleek and nice looking, like a businessman would carry at an airport or something (for whatever thats worth). In the instruction video he makes a fine point about how to reveal the prediction that is really cool actually and makes it like you are revealing it thought by thought. All in all it is way over priced and I'm being nice. The trick CAN be good and HAS potential with a good imagination. but the secret will disappoint you I can't personally recommend it. 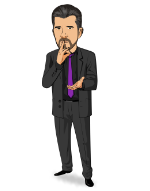 Banachek is providing you the ability to get into Q&A in the cleanest way possible. This folio is a utility device that will provide a means for you to do a drawing duplication and Q&A without any serious technical challenges. This frees you up to focus on your performance. If you are not planning to work on your ability to perform Q&A convincingly, please do not buy this product so that you don't cast dirt on one of the core effects of mentalism. This folio is finely constructed; Banachek obviously went to a lot of trouble to have this expertly manufactured. It is one of the best things I have ever purchased for mentalism. I didn't buy it from Penguin (I bought it almost immediately after release) but I cannot recommend this highly enough, if you are a serious mentalist and work in front of groups of people. WOW! I have to say this is a well thought out device and routine. You might not be real impressed when you first open it (it is well made but you might expect more due to the cost.) But once you watch the video instructions (also comes with PDF instructions) WOW again. I did this tonight at a Christmas Party, I have never really been into mentalism, but decided to give it a go. I did two bits with it, one early in the show, the a cold reading bit towards the end ... this was a party of women, they were screaming with joy as a "cold read" their thoughts. I noticed as I was leaving they were still talking about how they needed to be careful what they thought about when I was around!! A real worker! In my lecture, The Magic of Communication, I close with this effect. I love it and would not hit the road without it.